Former masters graduate student, Peter Xiang Gao, received the Best Student Paper Award at the 2013 Buildsys Workshop held recently in Rome, Italy. 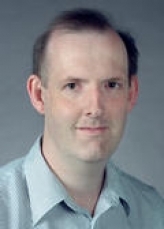 Gao's paper titled "Optimal Personal Comfort Management Using SPOT" is co-authored by S.
Mark Giesbrecht, a professor with the David R. Cheriton School of Computer Science has been named an Association for Computing Machinery (ACM) Distinguished Scientist. The University of Waterloo and David R. Cheriton School of Computer Science will host the fourth annual Ontario Celebration of Women in Computing this weekend. The conference brings together female professionals from across the province, students and faculty who are interested in, or working in, computing. The conference, on November 8 and 9 helps generate excitement about the field while providing attendees with opportunities for networking, sharing and mentoring. Sevag Gharibian, a PhD graduate from the David R. Cheriton School and current postdoctoral researcher at the University of California, Berkley, has been awarded a prestigious NSERC Banting Postdoctoral fellowship based on his work while at the University of Waterloo. Shahin Kamali, a PhD student in the David R. Cheriton School of Computer Science, has been awarded the Derick Wood Graduate Scholarship. Dr. Derick Wood was a Professor in the School from 1982 to 1992. He is widely known for his outstanding research contributions in a number of areas of theoretical Computer Science, including algorithms, data structures, and formal languages.